Prime Minister Scott Morrison is calling for the suspension of live streaming on social media in the wake of Friday's terrorist attack in New Zealand. Roughly 17 minutes of the attack was live streamed on Facebook and despite attempts by the authorities to suppress the video and the attacker's manifesto, it was shared exponentially across various social media platforms and news sites. 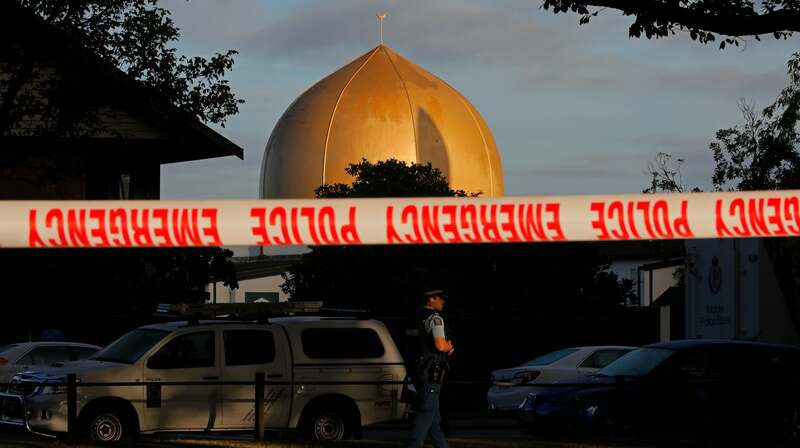 Facebook said on Saturday night that within the first 24 hours of a horrific attack on Muslims in Christchurch, New Zealand that killed at least 50 people and wounded dozens of others on March 15, it had blocked 1.5 million attempts to share a video of the attack live-streamed on Facebook by the shooter, with over 1.2 million of those attempts being blocked at upload. Over the weekend Facebook stated that it blocked 1.5 million sharing attempt of the video; 1.2 million of which were allegedly stopped during upload. This means that at least 300,000 uploads were successful, though it unclear how long they remained live on the platform. And that was just one platform. Video and images of the attack spread quickly across Twitter and YouTube, as well as fringe sites such as 8chan and 4chan. "... there is very real discussions that have to be had about how these facilities and capabilities, as they exist on social media, can continue to be offered where there can’t be the assurances given at a technology level. Once these images get out there, it is very difficult to prevent them," said Mr Morrison. New Zealand Prime Minister Jacinda Arden has also requested a meeting with Facebook to discuss the issue. Despite the quick attempts of Facebook and other sites to block the accounts of the attacker and remove the footage, it's difficult when footage and imagery go viral. As the AFR explains, a visual footprint of the footage is taken in order to blanket block it across a platform. However, if a video is downloaded, altered and then uploaded again it needs new visual footprint in order to be tracked and blocked. The likes of added watermarks and captions or even altering the colour of a video significantly impacts on the ability of the technology to easily detect and block foootage. These technological limitations has resulted in world leaders and authorities to condemn the scale of social media platforms and their capacity for effective content moderation. "...the capacity [for Facebook, Google and Twitter] to actually assist fully is very limited on the technology side. In the past, they have suspended this sort of Facebook live-streaming, and assurances were given that when it was put back up it could avoid this. Clearly it hasn’t," said Mr Morrison. The PM is yet to outline proposed specifics around the banning of live streaming. It's likely to be a tricky conversation considering the widespread use of streaming, particularly in the gaming community. The livlihood of increasingly more Australians depends upon it. We have reached out to Twitch for comment regarding this and will update the story if we receive a response. There are other possible courses of action rather than blanket banning all streamed content, such as targeting racist and extremist content that has the potential to incite violence. Just last year the European Union began handing out fines to platforms that didn't remove extremist content within one hour. Australia is in dire need of stricter legislation around online harassment and hate-speech. Friday's terrorist attack is further proof that the internet is the real world and needs to be treated as such.